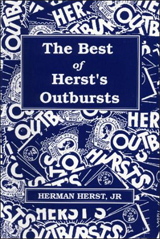 The Herman Herst Library - Add Them to YOUR Library While You Can! MOST OUT OF PRINT—With Limited Quantities Available—All Offered Postpaid! The Great Reading “Get Acquainted” Deal! For EACH Herst Book you order, you will also enjoy your choice of a free 4-month subscription to Mekeel’s & Stamps Online Magazine or U.S. 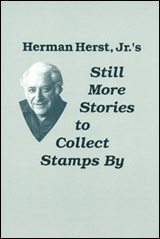 Stamp News Online Magazine. Purchase these four books as a set and save. Regularly $61, Postpaid $49 for all four. Also Available While Supplies Last! Visa, American Express, Discover and MasterCard! 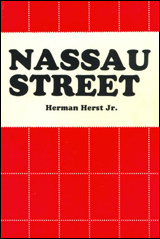 Nassau Street - OUT OF PRINT - This book is now a collector's item itself! 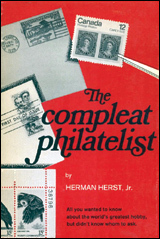 The most famous of Herman Herst’s books, Nassau Street takes us back to when stamp collecting emerged as the most popular hobby in the world. 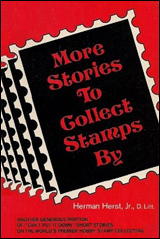 Written as only “Pat” Herst can, it describes the events and the colorful characters who made Nassau Street their business home and a mecca for stamp collectors everywhere. 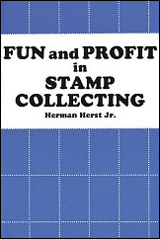 Valuable reading for all collectors, this book will teach you how to make some money while enjoying your hobby. Even more important it will reveal the financial pitfalls to which too many collectors unwittingly succumb. NEW! . . . by “Pat” Herst’s son, Ken. 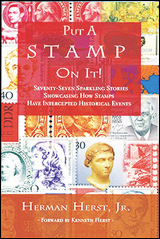 The last book written by the most famous philatelic writer of the 20th century, 77 articles in more than 350 pages, fascinating reading with an emphasis on how stamps and the mail affected important events of his era.